Phil Alden Robinson’s Sneakers is a hugely entertaining caper movie from 1992 with a wonderful cast led by Robert Redford. He leads a team of security specialists who find themselves caught up in a plot from Ben Kingsley to destabilise the global economy using a new computer hacking device. It’s a film with great rewatchability and I’m surprised to find that it received only lukewarm reviews when it was released (but was still a big success). 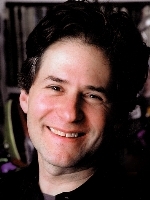 Robinson’s previous film Field of Dreams had received a much-loved score from James Horner and this became the second of their trio of collaborations. He provided what can only be described as one of the most seminal scores of his career, featuring numerous new ideas that would go to be featured in many subsequent works: it’s a rather quirky, very original, creative and inventive score that function brilliantly in the film and is a joy to hear away from it. It opens with a wonderfully light theme for the main title, four-note phrases (and yes, it’s those four notes, but not as they were heard before or since) and gorgeous female choral accompaniment; two minutes or so in, it turn in to that driving, propulsive “genius theme” as used by Horner in later scores (most famously in A Beautiful Mind). Then comes “Too Many Secrets”, a six-minute piece of suspense and action that begins with an ethereal, light passage for piano and winds, before a variant on the theme that closed the previous cue and then a return to the theme that opened it (which is really the score’s main theme) – and then the suspense begins in earnest with woodblock and a crash of percussion and not long later, the famous crashing piano (such a great device – was this the first time they were heard?) Apollo 13 would be the subsequent Horner score that would most famously revisit this material, but there were variants in numerous others too, and there are elements in the piece that can be traced as far back in this composer’s chronology as Brainstorm. It’s distinctive, uniquely James Horner and so effective. “The Sneakers Theme” comes next and is a bit of a one-off in the Horner canon. Effervescent orchestral twinkling and wonderful work from a rhythm section accompanies the melody which is played by Branford Marsalis (the first “celebrity soloist” to appear on a Horner score, I believe). It’s light, seeming to float away, and is cleverly deconstructed to nothing at the end of the piece. Another theme comes in at the start of “Cosmo… Old Friend”, a gossamer-thin piece (related to, but for once not directly quoting, the old Horner favourite by Khachaturian) for a small number of violins, again with an ethereal quality. Marsalis returns with his sax, this time reprising the score’s opening melody, which is placed in counterpoint to the string writing – it’s so dramatically compelling and actually quite moving at times, Horner’s emotional mastery in full flow. The fairly brief (by Horner standards) “The Hand-Off” returns to suspense territory, with a dynamic piano motif leading the way in the cue’s first half before it explodes into action in the second. “Planning the Sneak” is a fairly gentle reprise of the Sneakers Theme, focusing on piano rather than sax this time, leading into what is really the score’s centrepiece, the mammoth eleven-minute “Playtronics Break-In” which sees the composer pull out all the stops: crashing piano, woodblock, snare-based suspense, female vocals, blasts of the main theme, little dramatic interludes expertly-woven into a very satisfying whole which proceeds with an urgent momentum. Horner was truly a master at that sort of thing, through-composing great long cues that manage to hit all the right points dramatically but retain an organic flow to them. There’s still time for one more major theme, and that is introduced in “The Escape / Whistler’s Rescue”. It’s a big, orchestral, soaring piece with a playful, celebratory feeling, quite unlike the rest of the score in orchestration (it could be from The Rocketeer!) but it doesn’t feel out of place. The wistful “Goodbye” is a real beauty, full of longing, thanks in no small part to Marsalis’s tender performance (coming as tonally close as he does in this score to what he did in The Russia House), ending with the string theme from “Too Many Secrets”. Then, to bring it all to a close, Horner combines the Sneaker theme with the celebratory rescue theme in “…and the Blind Shall See”. Because it doesn’t have the epic feel or romantic attraction of something like Braveheart or Legends of the Fall, Sneakers is not often mentioned as being one of the finest of James Horner’s works, but that’s exactly what it is. There are so many facets to the score, so many great ideas in it (and so many themes! ), the action and suspense material is never less than full-bodied but the score as a whole manages to achieve a wonderfully light feeling. It’s up there in his top few film scores and deserves a place in anyone’s collection. Great review James. Spot on in fact. There’s something very magical and different about the Sneakers score. I also have a particular soft spot for this score as I picked it up in Tower Records. AFTER just having met Michael Kamen at a Goldsmith Society organised event. Great review for a great score. The rescue theme especially is some of his most superb music. I do believe this score was the origin of both the Genius motif and the Relentless Snare Drum that he’d use in later scores — the former in scores like Bobby Fischer and A Beautiful Mind, the latter in Apollo 13 and The Pelican Brief, just to name a few examples. Seminal indeed. “Cosmo . . . Old Friend” is Horner’s take on Arvo Part’s “Fratres”, not a Khachaturian reference. A fine review of a wonderful score. Many thanks.